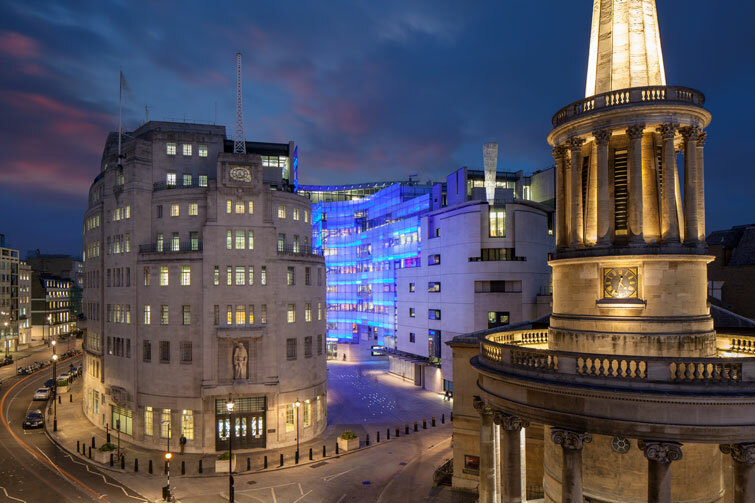 MJP Architects and Sheppard Robson Architects created a range of new public spaces at the heart of Broadcasting House, which open up the building around the new public space behind All Souls church, and visually terminate Nash’s Regent Street. This public space between Broadcasting House and the John Peel wing includes pavement artwork ‘World’ by Mark Pimlott. This unique arena provides a place to linger and see the BBC in action, a performance and exhibition space, and a café. The original Broadcasting House commissioned an inspiring range of contemporary artists and designers to work on the building. 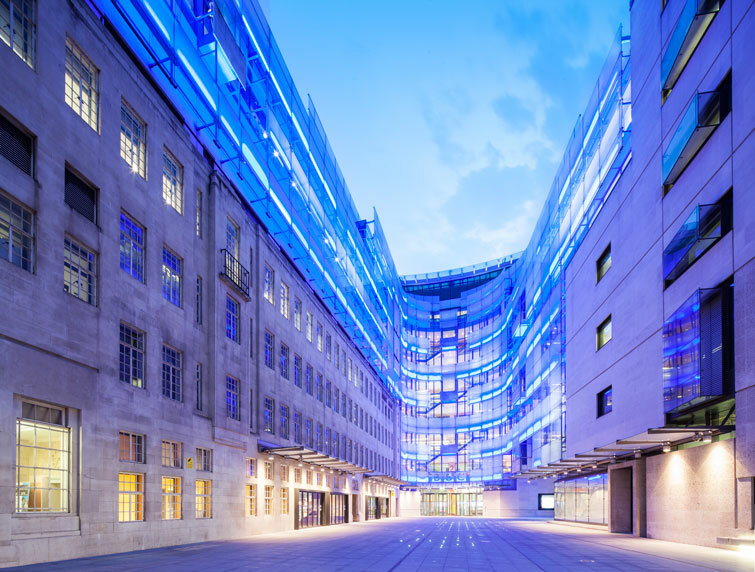 The New Broadcasting House Project continues this tradition with a major new Public Art Programme, working across diverse art forms from sculpture and light to colour, text and photography. 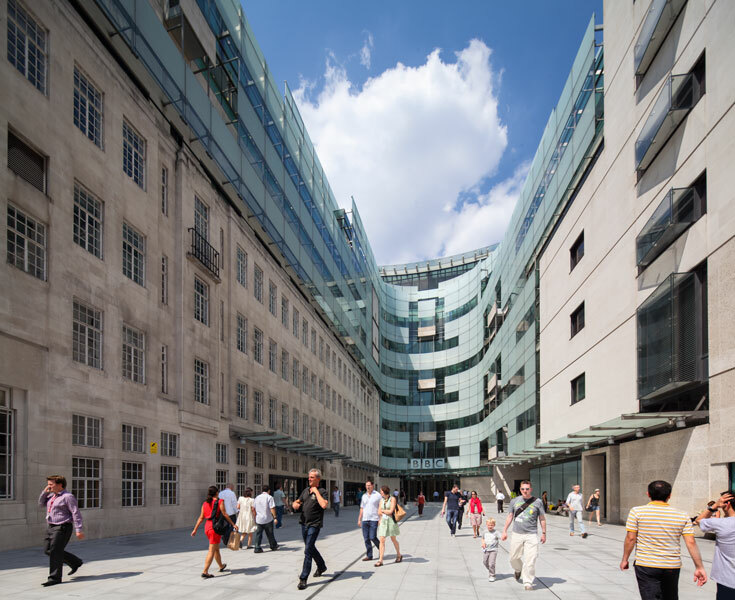 In 2014 I was commissioned by the BBC to photograph the new Broadcasting House building at Portland Place, W1A. These images including time-lapse have been used extensively both for promotional purposes but also within their own programming, using footage in their excellent new comedy series, W1A. 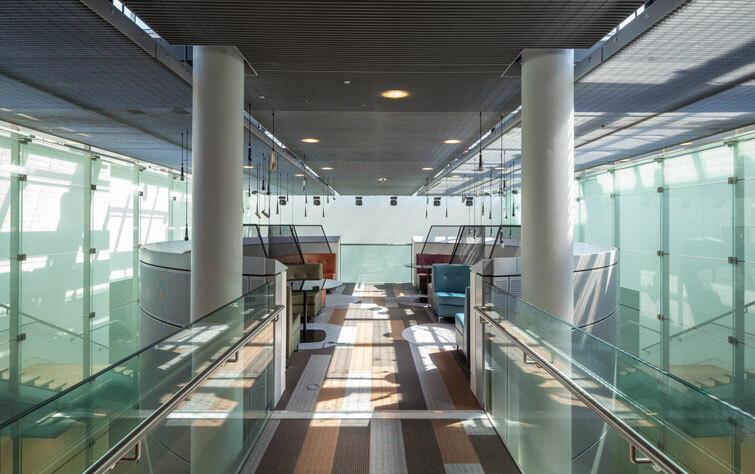 Detail of interior walkway and rest area. 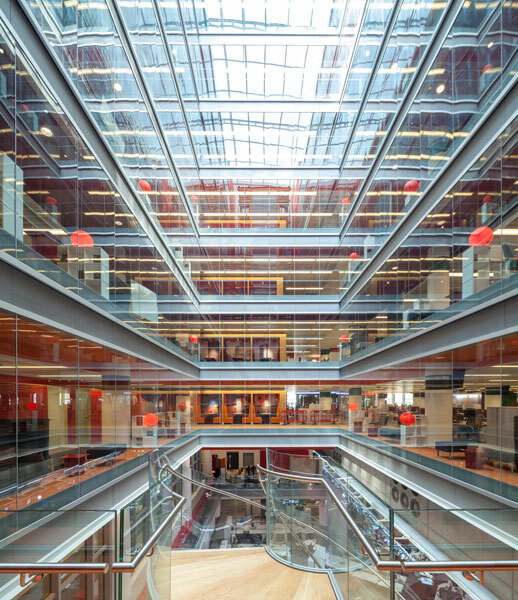 Interior Photography of central atrium and news rooms. Architectural photograph and rendered courtyard with elevation and glass façade.